The goal of the Registration Department is to make the process of checking in and obtaining services at War Memorial Hospital as convenient and easy as possible. Our staff is ready to assist you with the registration process for a number of hospital services, including (but not limited to) inpatient admissions, emergency department services, ancillary services (like xray, laboratory, etc) and outpatient surgery. For inpatient and outpatient services, please register in the Registration Department located just inside the South Main Entrance, which is accessed from Osborn Boulevard. This department is staffed from 6am-5pm, Monday through Friday. On weekends, holidays, or after hours you may register at the Information Desk. 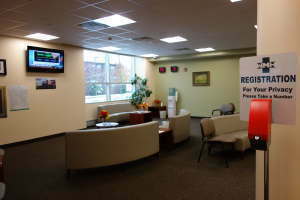 The Information Desk is located in the main lobby of the South Entrance - right next to the Registration Department. Patients need to register prior to all testing, unless instructed otherwise upon scheduling. Please arrive approximately 15 minutes prior to your appointment time for this process. 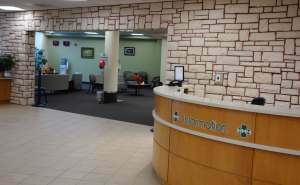 Most appointments for War Memorial Hospital services are made through your primary care provider's office. Your provider's staff will call the appropriate hospital department directly with specific medical information to book your appointment. When you arrive to register for outpatient services or an inpatient stay, please obtain a ticket from the red ticket dispenser located just inside the entrance to the registration waiting room. The numbered ticket will be used to direct you to the next available clerk. You will be directed to a private registration room, since your privacy is a high priority at War Memorial Hospital. The Clerk will verify your current information and you will be requested to sign consent forms. You may also be asked to sign other forms that may be required by Medicare or other regulatory agencies. You will then be directed to your destination. All Emergency patients should report directly to the ER Registration Desk. This desk is open 24/7. On the day of your scheduled surgery (inpatient or outpatient) you may report DIRECTLY to the 1st floor nurse's station. You do NOT NEED TO REGISTER on the day of your surgery. You do need to register for any pre-operative outpatient testing prior to the day of your surgery.